Finding cannabis jobs is one thing. Applying to cannabis jobs is another. The cannabis industry is hiring. It isn’t broadly advertised or promoted on the online job board like other more common jobs, however, which can make finding them difficult. In addition to the difficulty in finding jobs, applying for certain jobs in the industry will have mandatory requirements from obtaining a license to paying a fee in order to qualify. As someone who went through the process of finding a job that resulted in me moving from Pennsylvania to Colorado, I have some tips for finding jobs easier and making your application stand a better chance of getting that second look. Over 30 states in the US have legalized medical or recreational cannabis. This means that over 30 states are most likely hiring, and one of them could be yours! 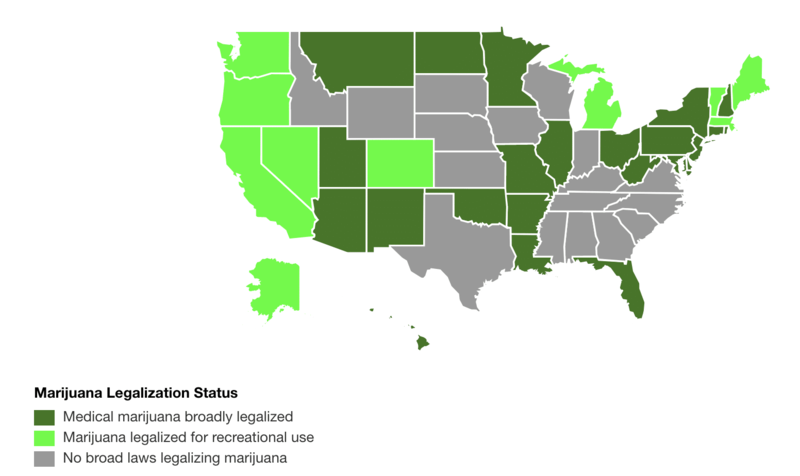 You can check out this handy map to see if your state has a medical or recreational market you could look into. If your state is highlighted on that map, there’s a chance someone nearby is hiring. Look for local dispensaries or distributors and give them a call. Most dispensaries in younger legal states will be mom and pop shops or smaller scale, and thus not putting out lengthy ads on the job boards. I recommend finding some local businesses you like, and giving them a call. It makes it much easier to find out if they are hiring. Also if they are hiring, you’re already talking to them! Phone calls make it much easier to relate your skills without sending a resume and waiting for an email reply. The cannabis industry, recreational especially, is still in its infancy in the US. This means a lot of states that recently legalized medical or recreational cannabis may still be setting up their industry, and thus not hiring in large numbers. Instead, look to the places that have had legal cannabis for a while. Colorado, Washington, and Oregon have all developed their markets to a point of stability, for the most part. Although Oregon is certainly not in need of any more growers, there is other opportunity to be found in processing, distribution or retail. While technically still very young and new, California is very likely looking for qualified candidates right now. California has been operating in a grey market since the medical industry exploded, with private market sales creating entire businesses and supply chain. These businesses were for the most part able to transition into the legal industry, and now they’re hiring. Look up the most popular cannabis jobs in the state you choose or simply google “cannabis jobs california” to see what the job boards have to offer. 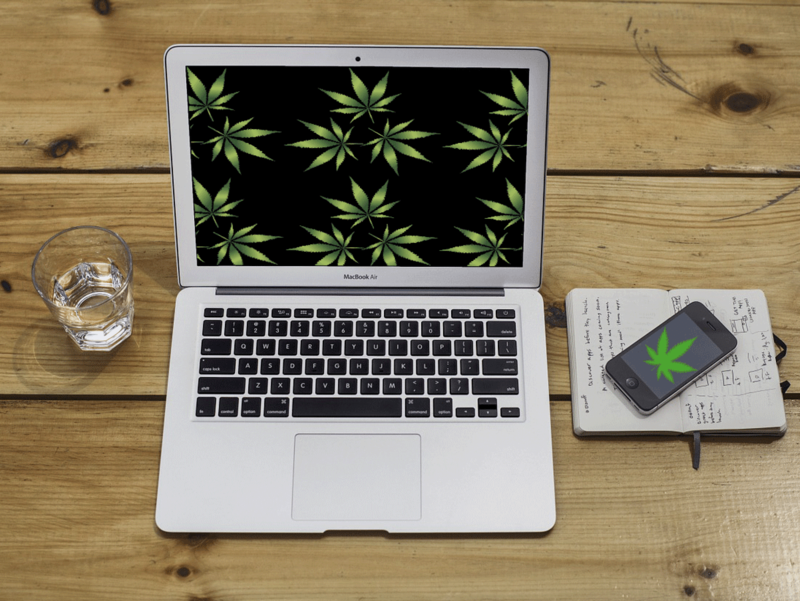 When it comes to applying for cannabis jobs, it helps to think in terms of not what you want to do, but what you can do. It might not sound like the stereotypical “follow your dreams” advice, but with limited jobs and a lot of applicants, you can’t be too picky when looking for cannabis jobs. All of my experience was in public relations, social media and content, but I was looking at and applying to growing jobs, budtending jobs and even trimming jobs. This doesn’t mean throw out your dream of being the next big cannabis marketer, because those jobs are there too. They are just much harder to find, and it can be disheartening seeing all the lower level jobs and not the ones you really want. California has no mandatory requirements for entering the recreational cannabis industry as an employee. Nevada, however, requires you to study, take an exam, and pay a fee in order to obtain a license to work in the Nevada cannabis industry. The last thing you want is to go through an application process only to find out you don’t meet the one essential criteria for the job. I wrote a guide that goes through all of the requirements for the most prevalent states with cannabis jobs. Look it over to make sure the state you’re applying in doesnt’t have a hidden requirement you might have overlooked. It’s boring, and it can be time consuming, but it’s essential. If you are looking outside of the cannabis space for jobs as a fallback option, you most likely have two separate resumes that you will be sending to potential employers. One “clean” resumé that covers your professional skills (or whatever), and the other you send to the cannabis jobs. This resumé will have your grow experience, cannabis knowledge and other skills that would most likely instantly disqualify you from any other job. And like I said, apply to everything. You can always so no to a job offer, but not if there’s no job offer in the first place. This is where you might have to swallow some pride and apply to jobs you would never actually take. Think of these applications as practice. Learn what kind of questions cannabis jobs employers might ask in interviews and what they are looking for in an applicant. This helps you to prepare for the jobs you really want, and you’ll be ready to answer the questions the employer has for you when you get that interview. I was in the final stages of the application process for a job doing social media for a children’s museum in Baltimore. I would have gotten that job too, had I stuck around. My point is, there will always be a “safe” option to fall back on. Too many people take that option. If that’s you, the cannabis industry isn’t for you anyway. There is risk in working in this industry, and a lot less job security than your everyday office job. With that said, you have the opportunity to get involved in a new and growing industry that the majority of people are too afraid to enter in the first place. You already have an advantage. It took me over six months of applying to cannabis jobs and “safe” jobs before I was offered a job in Colorado, and even when I was offered the job, I still was hesitant. Our society puts a strong emphasis on pursuing the safe option. Breaking that instinct can be hard. But all I can say now that I’ve been in Colorado for almost a year is that it is worth it. If you have been looking at cannabis jobs here and there, thinking about how cool it would be to actually get one of those jobs, it’s time to start applying. You might be thinking you’re not in the right state to find a job, or you missed the “window” to get in on the ground level. Those excuses passed through my mind multiple times too. Ignore them and keep applying. The worst thing that can happen is you’ll be one of the few that can say they at least tried. Hear my story of how I made the transition from Pennsylvania to Colorado in this week’s episode of The Real Dirt! I talk about the problems with finding cannabis jobs right now, how I got mine, and how you can too.